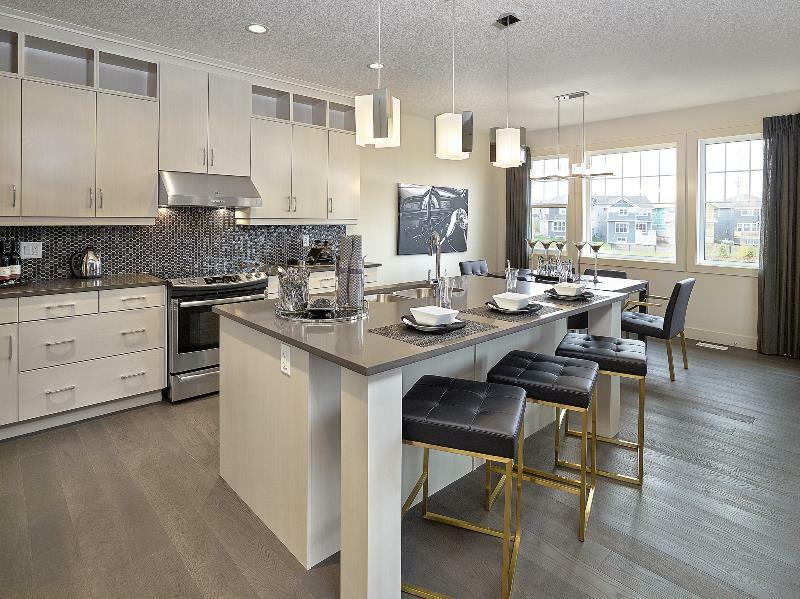 Through our History as an innovator in building award winning new townhomes and new houses for sale since 1978, Homes by Avi continually positions itself in the most desirable Edmonton communities while introducing new product lines designed for today’s families. Now with operations in three markets throughout North America, we still approach every home like it is the only one we are building. With valuable services such as Avi Definitions, a convenient one-stop venue for purchasers of new homes to find all of their home finishings, we are relentless in our program of unprecedented service and forging rewarding experiences for our clients. As experienced new home builders, we count on the quality of our new houses and townhomes, and the families that live in them, to be our legacy and to attest to our reputation as an extraordinary builder. Our superior standards are assured through Homes by Avi’s dedicated customer service department, as well as a comprehensive six-stage quality control process and two third party inspections prior to possession. Building award winning new houses and townhomes for sale in an ecologically friendly manner is a commitment we made long before “green” became a buzzword. In 1983, we were among the first new home builders in Edmonton to construct an R2000 home and lead the market in environmental building practices. Today we continue to address issues such as indoor air quality, energy and resource efficiency, comfort, durability and overall value in all of our new townhomes and houses. Homes by Avi is a Certified Master Builder and honored to be recognized as an industry leader in the construction of new townhomes in Edmonton. Each of our new townhomes for sale provides an excellent buying option for empty-nesters looking to downsize, busy professionals, and first time buyers looking to enter the real estate market. Our new townhomes are generally less expensive than single family homes and offer more privacy than typical condominiums. New townhomes for sale by Avi can be the ideal property for a broad range of buyers. To learn how our experienced home builders can help create your dream home, contact us today. This home brings joy to me and my family, we appreciate all the work and designs there in. Top level laundry is the improved plan we cherish the most. I am very happy with everything and no issues. My sales representative I dealt with at the Show Home in Trumpeter was Leticia. I met with what felt like a million new home sales reps and Leticia was the reason I bought from Homes by Avi. She was forthcoming with information, understanding of my unique situation and very helpful throughout the entire process. I would send all my friends and family to wherever she is, she's a keeper. Also, the two guys who did my move in inspection where amazing! Seems like the whole Homes by Avi team is fabulous! The size and lay out of my house is perfect to the life style I have. Clayton and Kevin were absolutely fa nominal. Our sales rep was really good to deal with and would recommend them in the future. Home was completed in a timely manner with overall high quality and cleanliness. Was very disappointed the garage was not completed when there was 9 months to do so. Was informed it’s because the concrete company was too busy but that’s a poor excuse when you have from May-November to book just a single day to poor concrete. More likely it is to do with not wanting to pay for the 4 other unsold garages that may sit there for a year before being sold. Aside from that all other work was satisfactory - excellent. I would recommend Avi to friends and family. Alexis was amazing! Would buy from here again if I had the chance. Always heard good things about Avi and you guys delivered on every point. Proud to be an Avi home owner. Trustworthy builder....sales rep was most helpful at all times and pleasant to deal with...Interior designer was very efficient and knew her stuff and a joy to work with...superintendent was good but we would have liked more communications during the build with him..
Not happy with driveway as i cant use snow salts and house could have been fitted with more modern and energy saver bulbs. The number one thing about Homes By AVI that I really like is their customer service even after you take possession of your home. They are always available to answer any questions or concerns in a very timely manner. We bought a show home so some questions dealing with construction phase questions I answered neutral. Lot grading etc we will not really see and experience until the spring as we took possession of the house in November. Thanks for the opportunity for input. Kara was great and definitely made the process less stressful! After one year, my fireplace created smoke and gas leaks during using fireplace, I contacted with builder. They said, your warranty is over on fireplace. We really have had a wonderful experience and LOVE our home. We're concerned about the amount of building still going on behind (West) us with the number of homes already up for sale in Edmonton/ St. Albert-an even larger green space would be wonderful. While it is not your problem, it would be nice to see the 'golf course" up for sale beside Trumpeter and Starling purchased as a park or a golf course instead of building anything new there. We're hoping that the area remains "store and shopping" free and we can continue to share the area with the abundant wildlife located there. I am satisfied with your Extra ordinary services. We bought a pec home. Alot of things we had in here wasn't what I would have chosen. Overall we’re very happy with the build and after sales service. They have been easy to deal with and professional. What we don’t understand is why they used an electric hot water tank. Our power bill is almost double our previous home and we changed all our lights to LEDs. Something we did not have in our old house. Overall really great warranty service after possession. Hose and Jeannie have been really helpful. We are quite satisfied with the craftsmanship and materials, except the interior paint and carpet were done by less professional trades. It seems there were some changes in the warranty team, and the communication and problem solving has been delayed since October. i was very impressed with the sales managers (Marina and Jennifer) of the area. They were very helpful and customer oriented. they show us how Homes by AVi combine price and quality. finally we have a home we love. they made everything possible to help us understand the house we are buying and the process. i really like the help they provide us aboud the banking process. they were available for our questions. Exterior windows are still waiting to be cleaned as noted in deficiencies. En-suite sink broken waiting to hear from manufacturer through customer service inquiry. All representatives were extremely helpful and knowledgeable throughout the process of buying my home. I think the largest issues that we have are well documented. While I'm pleased that the seasonal/grading issues were resolved prior to freeze up, the amount of time, follow-up, and quite frankly threats that were required in order for Seasonal to follow up on our concerns was ridiculous. I'm not at all confident that, without continued use of social media and strongly-worded emails with multiple people cc'ed, that the issue would have been resolved at all. Aside from this, I'd like to commend the vast majority of the rest of the people and trades that we worked with over the last year. Though there were minor issues like workers leaving drywall dust on the floors/carpet, seams being poorly treated/exposed, and others, these were all extremely minor. Every other issue we had was addressed in due course and handled promptly and courteously. Thank you all for your time. I really liked dealing with Al and Jeannine. Sealong with the representatives were terrific. I was not happy with the paint and trimming around the windows. I realize that once possession is taken, No painting is done to fix things and appreciate Al looking into it. I did not like the cement step installed at all. I also wasn't happy with the landscaping or stucco around the bottom of the duplex. We had an amazing experience from beginning to end. We love our design and layout and the quality of our home. We would highly recommend Homes by Avi to anyone wanting a good quality experience. Thank you! Overall happy with the experience. Nicole from warranty has been an absolute pleasure to deal with. She has gone out of her way to ensure that issues are resolved as easily and efficiently as possible - much appreciated! It took nearly 2 months to correct the landscaping, and almost 20 emails between Julie Birmingham and I to resolve landscaping concerns. No response from after hours emergency line when the sump pump failed. One of my comments and suggestions I would make about training HBA staff, stop putting blame on homeowners for issues. When I called about my sump pump, Nicole told me that regular homeowner maintenance would have prevented the sump pump from failing. The reality was, it was garbage left in the sump pump during construction that caused it to fail. Homeowner maintenance would not have prevented this failure. Not Avi related, but the developer (Brookfield) have had drainage issues with the sidewalk, that hasnt been resolved after many attempts. Overall we have had a wonderful experience with everyone at Avi, from the sales team right down to the warranty team including all the trades who’ve been in to fix minor issues. We have been the most dissatisfied with the dishwasher which has been serviced 2 times and is still not properly cleaning our dishes! Everything was amazing except they installed the wrong sink. The girl at selections said it was my fault but she wrote down the wrong sink on the final form. The only reason I signed the form is because I assumed what she wrote down was the sink I wanted. Had I known all the names of the materials and such I would have corrected her but I don’t. It has been a great experience and I would definitely recommend them. Note: Home owner has not reported or had any warranty visits since possession so 8 were entered in required questions. The exterior, it's seasonal work but it took a long time for them to fix the exterior of the house. I had to call them several times. Miss Lori was very approachable was nice and was approachable. She replies fast to the emails. Overall it is a good experience. They are a good company and they are good people. I am pretty happy overall. Nothing specific. Really good to work with 0 complaints. Buying a spec home that is almost complete is a bit of a different experience. We didn't have many choices but the colours and finishings chosen by the design team are beautiful and we are thrilled with our new home. The only negatives are: 1. the drywall and paint is very soft, so hanging things is more difficult than expected and the walls scratch very easily. We have to learn how to manage that 2. the ceilings are vaulted - which we love - but the kitchen cabinets are all SO high that we need stools for all family members to reach above the second shelf. This is proving to be a challenge. 3. There are less closets than we'd like for the pantry and linens but we do understand the layout gives us space elsewhere as a trade off. 4. The landscaping is the only thing we are disappointed in - we took possession Sept 12, and were told the initial/final grade/sod would be completed before we took possession, then that it would be a week later, then 2 weeks later. The weather did turn badly at the end of September but if it had gone to the promised schedule it could have been in before winter. Now we will wait until spring with a mud pit for a yard. I believe Homes by Avi makes a quality Home. We are happy that we built with them. Even to the little details of making stud for the curtain rod so it doesn't fall out when you screw it in and even to the towel bar in the toilet. We are very satisfied and we will recommend to our family and friends to build with Homes by Avi if they are looking for a builder in their next Home. As first time home buyers, we are very impressed with the services and the over-all experience with Homes by Avi. The area manager Christy and customer representative Lori were responsive to all our queries and addressed our concerns in a timely manner. Almost two months since possession, we are excited for the completion of our garage and landscape. We look forward to coming home every day. Surely, Homes by Avi takes pride of the workmanship of every house they build. We looked at many townhomes prior to choosing Homes by Avi. Our home buying/ building experience was by far the most satisfying. Our decision to purchase an Avi home was decided when we entered the show home in Maplecrest. It felt like home and was what we were searching for. Thank you. Overall, we have had a very good experience with our builder, from the first encounter with show home personnel, to the completion of warranty work. The walk-through on our possession day was very thorough and the welcome gifts were exceptional. All the changes we made from the spec plans were all done correctly. We are enjoying our home very much! As always, Kellen and Charlotte were great to work with. I couldn’t be happier. I am very happy with my purchase, my new home is perfect for me and the neighborhood seems very nice and so far pretty quiet. Also, I think the Avi hush-hush wall system must be excellent quality as I have not heard my neighbour’s footsteps or any sounds from them through the wall. This is a perfect location to access the highway and very quick to get to Edmonton. I consider myself so fortunate that my realtor showed me this property. Thank you so much, Homes by Avi! Everyone from homes by Avi has been extremely kind and helpful, from the people at the showhome to the people helping with any issues in my first year. Very good customer service. Again, Kellen and Charlotte are awesome. Until now everything is not yet done. Winter is coming very soon. I don't know if they are going to finished as they promised. I had appointments last week and no one showed up. Customer satisfaction, I am satisfied. Maybe they are behind. Kellen and Charlotte are amazing to work with. I have recommended them to many people over the past year. They’re so accommodating and understanding. I can’t say enough good about the. Truly amazing. We really appreciate all the work Homes By Avi put in to help us build our forever home. The ladies at the selection center were extremely supportive and patient as they walked us through the design process. Our sales rep, Darren, kept us up-to-date on the progress of our home, gave us helpful suggestions on the design, and treated us like we mattered. Thank you for your excellent service. Overall happy with Homes by Avi. Some areas the trades don't do what they say they are going to do. I had a great experience building my house in laurel green. Nancy is very knowledgeable and helpful. She helped us thoughts the process. The only thing i didn't like I was not aware that my garage would not be ready till the house next door is ready. I found about the detail just a month before possession. I think builder needs to make aware people about the timeline of building garage, fencing, landscaping, grading and exterior paint. I do realize that you cant give me specific date but it would nice to get rough estimate. Nancy did a great job for finding out details about seasonal work. Overall THUMBS UP!! From start to finish the Homes by Avi Team made our home building experience a great one! Thank you! All sales, design and support team members have been amazing throughout the process. Thank you! We are happy the quality of our home. Our community is beautiful and peaceful. The staff by the Homes by Avi have been very friendly, helpful, understanding and go above and beyond of their duties. No complaints. We are very happy with our home as it was delivered on time and as promised. The workmanship is excellent and we've had very minor issues, if any. All concerns were addressed and we would highly recommend Homes By Avi to our friends and family. Beautiful home developed by Homes By AVI. This is my first brand new home. From walking into the show home to the purchase of my place it has been a positive experience. Just anxious now for my garage and landscaping to be completed. We are in our dream house. The sales manager was excellent. Good help at selection center. This is our send property with Homes By Avi. We had one major concern in our old property grading and landscaping. Though we cautioned enough we have a very poor grading and landscaping in the new property also. This is the only aspect it's very discouraging. Warranty coordinator mention city approved so she cannot do much. It's very poorly done I fell the poor workmanship every time I walk in the lawn. If these survey is analyzed pl. Revisit your contractors for this work. If possible find a better one. They did a poor quality now the second time in grading and landscaping for us. Very few complaints, and the workmanship is first class. Many of our friends have had multiple issues with their builders, but we can count on one hand the number of issues we faced, and with the two exceptions most were very minor. In all cases you guys responded quickly. Before we started the process lot of people told us that building process is very stressful, you lose your sleep, etc. but building with Homes by AVI we felt it was a very pleasant journey. We learned lot, enjoyed process, and we were looking forward to the moving date. After moving in we loved the house and felt whole process was great instead of "pheewww finally its over". Ashley has been so friendly and personable from day one, and has made the whole experience so easy. Then, during our home inspection, Bryan was so knowledgeable and so helpful when it came to how the house functions and what we should look out for and it felt like he really had our best interests at heart. And after we moved in, any concerns we had were addressed quickly by Lori and the Site Manager. We had a problem with a baseboard coming apart from the wall and it was resolved quickly. We're looking forward to having the garage and landscaping completed and it looks like all work is being done efficiently. I'm totally satisfied with the build quality from Avi, I have never seen such a meticulous detail in construction. If I would buy another home, I would compromise my location and go buy a home where Avi builds. Shortly after moving in I had my sewer backup. Both Gerry and Lori were fantastic to deal with and very helpful. I heard from Lori just about every day until things were resolved. We bought our place through Alexis, great experience, very straightforward and competent, no BS. Did the deal in one day. Jeannine in warranty department is great, responds quickly. Everything was exceptional and communication was great! No complaints. It was a wonderful experience and our possession date was much sooner than I expected. I am looking forwards to seeing my house finished/painted and the garage and landscaping completed. My whole experience with Avi was exceptional. From the moment I first visited the showhome, Avi representatives have been friendly, professional and responsive! Whether it was purchasing, building or warranty questions/concerns, service was prompt, reliable and of the highest quality. I would (and have) recommended Avi to friends and colleagues. Excellent, friendly staff who feel like part of my community & family! I love our new home! Overall it was great experience and am happy with our purchase from Avi. We love our neighbours and the curb appeal of our home on grande blvd. Looking forward to many years and growing our family in the community! It was a great experience. Nothing bad to say except the issue with my kitchen. The floor in the kitchen was unlevel. They fixed it but maybe a bit longer than it should have but they fixed it nice. My family and I are extremely pleased with our new home and the service we were provided during and after the construction. Thank you so much for doing such a great job. 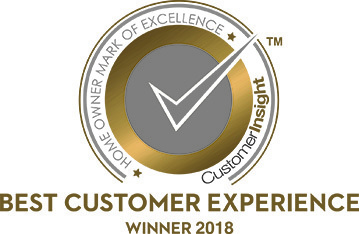 Excellent customer service from Homes By Avi from the time of purchase through to the walkthrough and to the prompt servicing of all issues that were identified in the home. The house checks all our boxes and we couldn't be happier. Everyone with Homes By Avi were very helpful for the whole process of getting my place. They had made sure that any questions I may have had, they were helpful in getting them answered in a timely fashion. Great homebuying experience. Any issues we had were corrected promptly and did not affect our timeline. We were always able to reach someone if we had questions or concerns. All the staff we met were lovely to deal with and extremely helpful. First time a new home and it was great. Homes By Avi has been exceptional in attending to any problems that have arisen during this first year, with the actual repairs, to follow-ups and everything else in between. I have and will continue to recommend them to any friends looking for experienced, quality builders! Good experience. Overall happy with the home, despite some minor issues which were all resolved fairly quickly. We'd most likely buy from Homes by Avi again. My new home was very well built. I love it! Also very smooth and pleasant experience with my purchase process. The sales person Lindsey and on site construction manager was very knowledgeable with what they are building in Creekwood Chappelle. The entire purchase process was enjoyable. I love the huge windows downstairs and my master bedroom, this is one of the reason I picked this model. After I moved in, the only down part is the temperature in my master bedroom is a bit lower than rest of the house. Once I notify AVI team, they responded to me very quickly and sent a technician to check the heat balance to ensure my heater and vent are properly set up. It turned out everything is fine and heat distribution was well balanced. I was told by the tech they can do thermal imaging in my house to precisely locate where the heat lost is. I'm pretty sure once I have my 2 month in house walk through, AVI will take care of this and ensure I am 100% satisfied with my new home. Great overall experience, very professional and are very dedicated to great customer experiences. This was a great experience! I chose a quick possession unit, so I didn't have much input into what went into the home. However, I've been very pleased with the quality of workmanship. Few minor items I would like to see changed (drawers in the bathroom vanities would be nice) and it would have been very nice to pick the interior paint colour, but I knew these items when I purchased. Love my new home. I dealt with Alexis when purchasing my home and found her to be very professional and she answered any of my questions throughout the purchasing and building process quickly and kept me informed of the progress of my home. The possession date was on time and any deficiencies were corrected before the move in date. Any concerns I have had since moving in have been answered quickly. As a first time home owner I am so happy that I choose to go with Homes By Avi. As of right now only having issues with my exterior lights and was told that it could be two weeks before they are dealt with. This seems a bit long for a correction. I have designed and built three homes prior to this one. And although there is slight disappointment with not being able to ensure certain customizations I have been very impressed with Avi homes in regards to quality and customer service. I will definitely recommend Avi homes. Everyone at AVI has been very friendly and helpful. Great company! The people from the start through design, and selections were truly wonderful. Great group. The one thing that I thought was a useful tool, however not utilized was the calendar online that the owners get access to during the build. Having all phases outlined on the calendar as tentative, that change to scheduled dates as items are scheduled would be useful. We really valued the ability to go to the design center before purchasing our home. It was one of the perks AVI had over other builders that made us buy through them. We genuinely felt the AVI team members valued us as buyers, from sales, to site supervisors, designers and customer assistance, everyone was so friendly, approachable and helpful. My overall experience with homes by Avi was great very friendly staff always willing to help create a beautiful home for me and my family. Our sales manager Chris was very helpful in responding to any questions or concerns same with our construction manager very approachable easy to talk to. Our interior designer Jordan was easy to work with , was able to address any problems or concerns we had and tried her best to resolve our issues. I felt that the staff was very patient and informative of all the changes that I had requested, as well as updating me on the progress of my new home. Very professional and serious builder. I am thoroughly satisfied with the customer service, workmanship and of course the lovely home that we bought. I am excited to get home at night to just sit and lounge and admire the beauty!! Amazing experience. Will definately continue to do business with Homes by Avi in the future. Overall experience was good. any issues that we had they said they would fix it when the weather permits. Just garage door remaining. Homes by Avi is one of the most trusted Home builder. People who wants to have a perfect elegant, worthy home with affordable price and durable materials, which you can’t see weth other builders I strongly recommend HOMES BY AVI my number ONE builder?? We are very satisfied with our home. So far, everything works well in our home but in the previous months we had problems with our appliances. At the moment, we don't have any problems. I can say that we are satisfied with the house itself and especially the neighborhood. Marina and Carrie (the sales team) went above and beyond for us. They shared in the joys and excitement we did and were so helpful and knowledgeable. They made this process fun and easy. Amanda at the design centre was very knowledgeable as well and had great style and suggestions. She was thorough and efficient and our house ended up being above our expectations. We really had a great first time building experience with Homes by Avi! 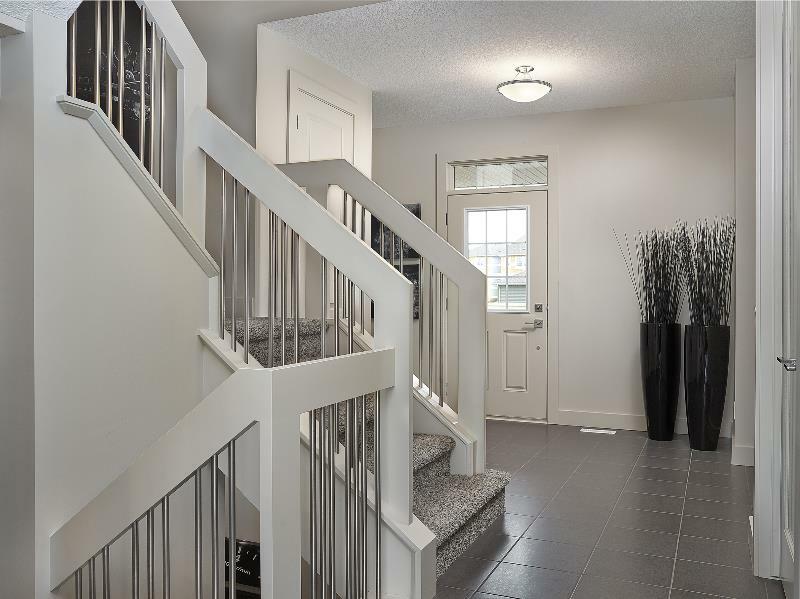 We highly recommend building in the Village of Griesbach, Showhome representatives Chris & Sarah are very friendly to work with a built us a beautiful home. Also any minor deficiencies we may have had have been dealt with quickly. Thank-you Homes by Avi for being honest. We like the sales man. We love our home. It was a good experience overall. When we had concerns, we would email Lorie and things would get taken care of. They have been responsive and addressed the issues. The lady to the show home stops what she is doing to help you. Very attentive to you r needs. The garage has taken longer than expected to build. Other than that I am completely satisfied with homes by Avi and will likely buy more homes from them. As I said before, I'm glad that we have chosen Homes by Avi to build our Home. Homes by Avi built our home base on quality and not quantity. I'm impressed with the little details that they do to make a better quality home. I will sure recommend Avi to my relatives and friends. This is our third HBA home. The reason why we chose HBA is because their service is very good. They make it a point to resolve remaining issues whereas other home builders do not. This type of follow up is crucial for evaluating a home builder - once you move in, how do they respond? One such example is even though it was past the 12 month warranty, on the 13th month our vinyl siding at the front of house started coming off and HBA said they would fix it. For this goodwill gesture, I am confident that HBA values me as their client. Would definitely buy a home though Homes By Avi again! The Homes by Avi experience was a pleasant one from the start with meeting our sales gal Sarah to the selection process with Amanda at the design centre and continuing through the the process. Colin the site super was informative and delivered on everything we required. As well any correspondence that we required looking into Nicole our warranty coordinator was diligent in responding in a timely manner and coordinating a speeding answer or resolve to our inquiries. The Finished product is well worth the investment, we would proudly refer Homes by Avi to any New home buyer. Pretty happy with the service so far! Looking forward to my garage door and flashing being fixed soon too! Everything was done extremely well. However, it is now August and we are still waiting for our landscaping. Our driveway was finished only recently. I understand these are seasonal but the season is slowly coming to an end and we do not even have a rough grade for our landscaping. Winter is coming. That being said, everything in the house was done with perfection and I really love my new home. Nicole made the warranty process effortless. She was always responsive to emails and worked with me to fixed everything that needed fixing in our house. We truly felt taken care of! Loved working with Alexis, thank you.. Everyone else was great too. Homes By Avi made the entire home buying process very smooth. I would highly recommend others buy through Avi! It was a great and lovely experience to have worked with homes by AVI. No house is perfect and there have been some issues to resolve but overall, we are extremely happy with our home, with the builder (Homes by Avi) and their team! We've heard of far more serious - and numerous - issues from some of our neighbours that built with other builders so we're very thankful that we chose Homes by Avi and have had an overall great experience without major concerns. Thank you Homes by Avi! We love Nancy!!! she did a great job and was very patient with us and has a very professional sales process. There were several issues that the head office created for her that she handled very well. Very happy with our finished house. All the work seems superior to previous new houses/condos we have built. Gerry Lerose was an absolute dream to deal with. He has gone up and above since day one for us and always answers his phone right away for the many questions we have asked him. He has made this experience amazing for us. We also really appreciated the service from the construction personelle during the pre possession walk through! I'm very satisfied with the building and overall marksmanship and the quality of the building as well as the services I've received this far. No complains yet. And I don't forsee any problems with the builder/management since they've responded to my questions in a timely fashion. In conversation with my neighbours, it seems by far Homes by Avi have the best customer services. I spoke with my neighbour about home inspection for warranty purposes and or walk thorugh and they never had that done by their builders. One of my neighbours visited me and was very impress at the house. Overall, I'm very satisifed with the purchase. This is my fourth home and by far the best and nicest one. I will buy Homes by Avi again and will recommend this builder to friends and family. This is our second time buying with Avi and we are pleased with our experience both times. Customer service is excellent. People are very courteous and excellent professional in work. We had a very good experience with HomesbyAvi, very satisfied! Overall, I am very happy with the home, and the service provided to it. There were a few instances of stress (having to re-pour the driveway, for instance), and little items like re-grouting the shower and a cracked bathtub, but they were resolved in a reasonable manner. I was very impressed by Al, who came to work on a number of small items. Thank you for your care. "Homes By Avi is the best in the industry. They are proficient in what they do and they strive to provide customer satisfaction that cannot be contested. Particularly my sale representative is just wonderful. They accomplish the construction project right and they make sure that everything is done just perfectly. I would recommend this builder to all potential home buyer." As a first time new home buyer, Homes By Avi was above and beyond excellent in ensuring that my many questions were answered, and that I was aware as a new home buyer of all the little things needed to be done along the way - I could not have bought with a better builder. Will absolutely buy again with Homes By Avi, as well as recommend to all family and friends. As a customer, I felt completely looked after from start to purchase, and even still following possession of my home. Overall amazing experience. Exceptional customer service. My sales representative was very knowledgeable and she was always on top of everything during the whole process. I would definitely recommend Homes by Avi to my family and friends. From sales to finished product, AVI was a pleasure to deal with. The sales team was excellent in helping with layout. The site superintendent was knowledgeable, informative, and worked well with solutions to problems. This is the 3rd home we have built through a builder and by far the best experience we have had. I would not hesitate to recommend this team to anyone looking to build. "Overall very satisfied with the complete home buying process with Homes By Avi right from putting a deposit to hold the lot to receiving the keys from them on the possession date. I just hope my home living experience is as pleasant and fun." I have had a home with AVI before and I feel that they are very well designed homes and make good use of space. Great experience! We had to move up our move in date and homes by Avi was very flexible with everything. Quick to respond and fix any issues after move in. "Kellen and Jason and office staff were very helpful and appreciated their professionalism and willingness to see our homes to completion! They also made our experience with Homes by Avi very satisfactory! We would purchase again with them! We loved the idea that AVI with the purchase , supplied complete fencing, deck landscaping, . We move in with nothing to complete in the spring !!! The builder really mean business and 100% commitment to customer. I highly recommend this builder to my friends and family. Gerry - Area Sales Manager gave me his number. Every time I text him he was responsive, even if he didn't know the answer. That was a great personal touch, that made me feel my voice was being heard. "Thank you HBA team for coming together and making my first home purchase experience pleasant. I will look to you when the time comes for an upgrade. "I love homes by Avi. I am greatful I choose them to be my builder and they really take care of your needs. I am highly recommending homes by Avi to anyone planning to get their own place. 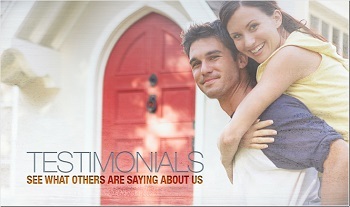 HOMES BY AVI A GREAT COMPANY"
"Lori Perrin, sales - Chris and site super - Darren are fantastic!!! would have liked more assistance in design"
I'm proud to tell friends & Family that my home was built by Homes By AVI. From the first time we walked into the show home we knew that Homes by Avi was the right builder for us!! Marina was so informative about the products and quality of the build that she was was able to answer question we had. Then onto the design process, it was quick and simple. We are so happy with our home and are looking forward to spending many years in it growing our family!! Amount of time taken to complete landscape in conjunction with the surrounding area was poor planning on the builders part. Other than landscaping everything was professional and outstanding! Their attention to detail was superb. We are very happy. I am very happy with my Homes by Avi home. With the workmanship, great value the company has a great future in this area. Homes By Avi (Edmonton) LP has been a member of The Alberta New Home Warranty Program since August 12, 2003. Membership in the Program means adhering to rigorous membership standards. During their time with the Program, They have had no unresolved warranty issues and no unsatisfied Conciliations. Homes By Avi (Edmonton) LP is a member in good standing, and has achieved the rating of an Accredited member with the Program; the highest possible rating. This rating is determined through a disciplined process that evaluates each Builder Members' operational performance based on criteria which includes: Technical Achievement (quality assurance program of the builder), Warranty Performance and Customer Satisfaction (Conciliation and Claims record), Business Practices and Resources (business expertise), and Financial Performance. 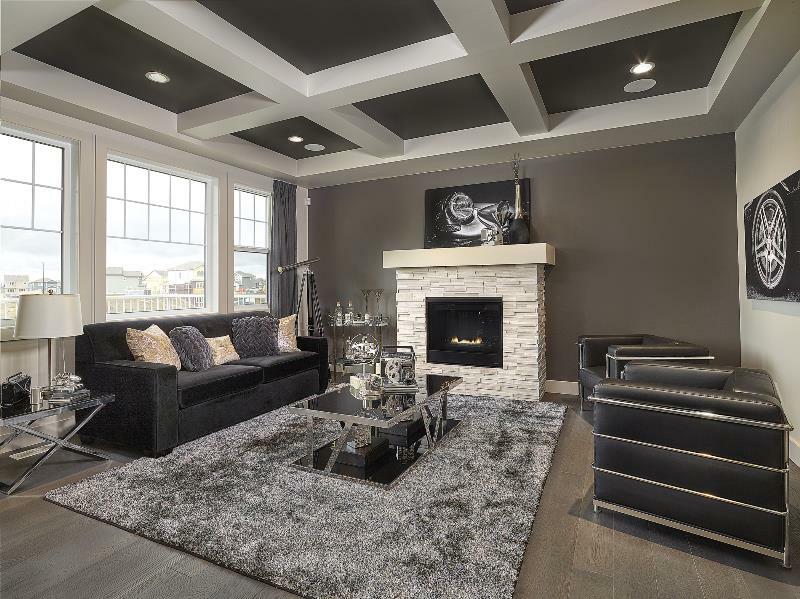 Homes By Avi (Edmonton) LP has set a high standard of operational performance and The Alberta New Home Warranty Program is pleased to have them as a Builder Member.